Royal Aircraft Factory C.E.1 Patrol tractor biplane s/n N97. 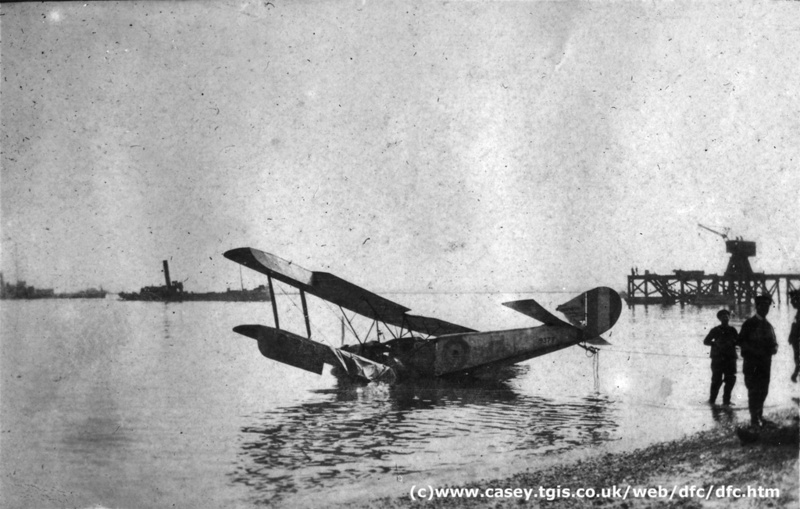 This is one of only two built and arrived at Grain in early 1918 having been built at Farnborough and first flew at Hamble in 1917. Sopwith 1 1/2 Strutter no. 9377. Pictured at Grain being salvaged after sinking. Date is unknown but she arrived at Grain during 1917, virtually all the pictures I have are from Jan - Mar 1918 so I'm guessing it is around then. From the debris on the left wing this could have been a trial of flotation gear which was one of the major tasks undertaken at Grain. Curtiss JN.4 No 8844. Taken at Grain in early 1918 having arrived late 1917. It looks like FSL Ashton standing by the right wing. The JN.4 "Jenny" was built in huge numbers in the USA (over 6,500) and was their standard trainer. This one however is the "Canuck" model, these were built in Canada for the RNAS/RFC/RAF. Airco DH 4 tractor bomber. Built by Westland in Yeovil. 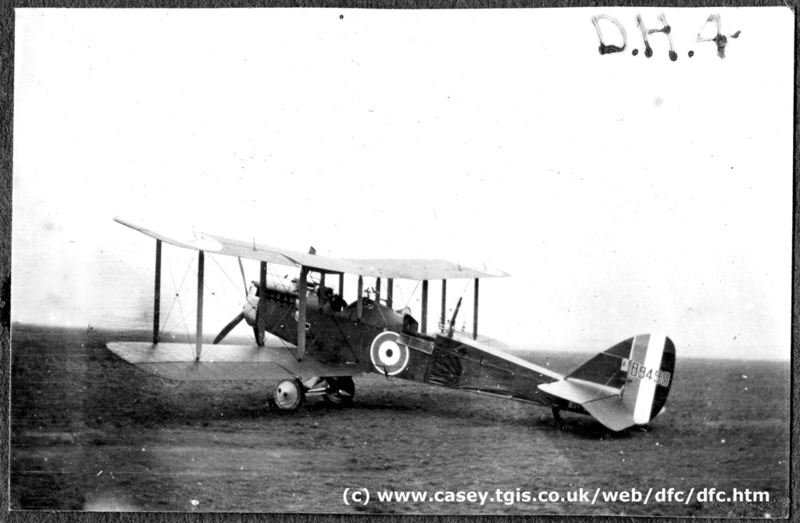 Designed by the great Geoffrey de Havilland the DH4 proved to be a huge success. 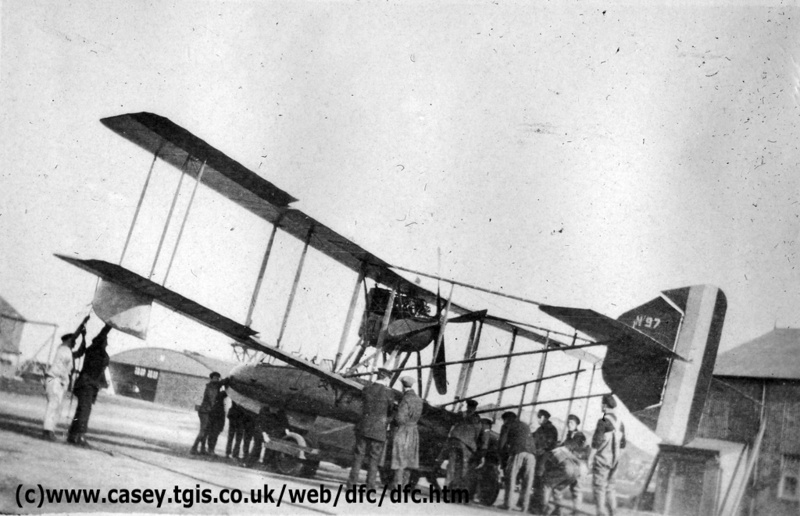 RNAS DH4's were largely used for coastal patrols and accounted for both Zeppelins and U-Boats. 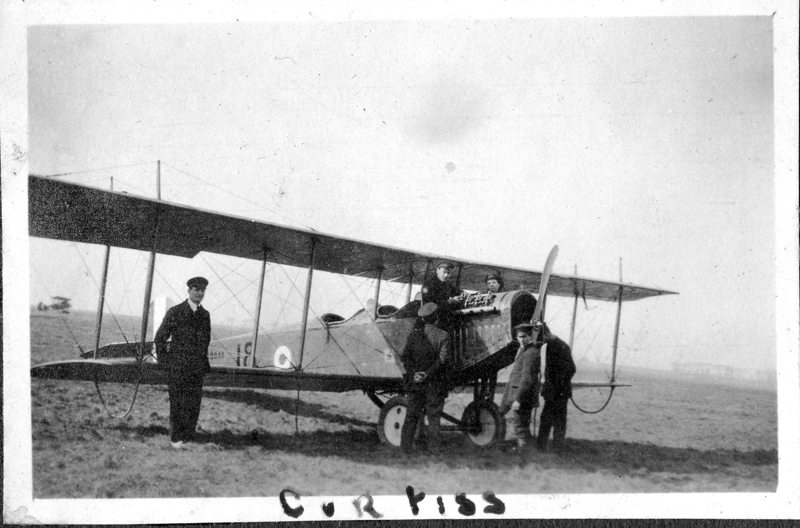 This is one of the last built for the RNAS and delivered in Dec 1917, it was only at Grain for a very short while so this one can be estimated as being taken in approximately Jan 1918 before going into front line Squadron service.